In the highly unlikely event of our friends at BBC Music Magazine ever inviting me to do one of their ‘Music That Changed Me’ features (in which musicians contribute a potted autobiography based on key recordings which have shaped their development), Cecilia Bartoli’s 1999 Vivaldi Album with Il Giardino Armonico and Giovanni Antonini would undoubtedly have a starring role – I’ll never forget the sense of wonder and excitement I felt on unwrapping my latest purchase from the long-since extinct Britannia Records and hearing the Italian mezzo bursting onto the scene part-way through what appeared to be a choral arrangement of ‘Spring’ from The Four Seasons (actually an aria from Dorilla in Tempe, for which the ‘Red Priest’ either previewed or recycled music from his best-known work). It marked my first encounter with Bartoli herself, with historically-informed performance, and with Vivaldi as an operatic composer, sparking a lifelong fascination with baroque opera which has played out extensively in these pages over the past eight years as well as in my own parallel life as a performer: the album not only contributed to my decision to put aside my violin in favour of exploring my own potential as a singer, but also inspired me to get involved with numerous exhumations of baroque rarities further down the line. Twenty years later, Bartoli’s back with a second scintillating instalment of arias from a composer whose operatic genius is now widely recognised – many of the works represented on that first disc have since been recorded in full thanks to projects like Naïve’s pioneering Vivaldi Edition (which yielded a marvellous complete Dorilla this time last year), and a new generation of singers like Philippe Jaroussky and Julia Lezhneva have taken up the baton and run with it on their own recital-albums in the wake of Bartoli’s advocacy. It’s every bit as electrifying as the first volume, and in some respects even outdoes it: now in her early fifties, Bartoli’s wiry, astonishingly agile voice remains in pristine condition thanks to her astute repertoire choices and careful vocal management, with no signs of wear and tear from her assumptions of roles like Bellini’s Norma and Amina in the interim. Her trademark machine-gun coloratura (not to all tastes, I’m aware, but it thrills me every time) continues to astound in arias like the opening ‘Se lento ancora fulmine’ from Argippo (recently allotted to Joyce Didonato’s Sycorax in the Metropolitan Opera’s pasticcio The Enchanted Island) and the martial ‘Combatta un gentil cor’ from Tito Manlio, whilst the staccato top Cs in ‘Quell’augellin che canto’ (a lilting pastorale with obbligato violin which foreshadows Handel’s ‘Se in fiorito’ from Giulio Cesare) are despatched with pinpoint accuracy. In the half-dozen slow laments, including ‘Leggi almen’ from Ottone in Villa and ‘Sovente il solo’ from Andromeda Liberata (a sort of reverse ‘Dopo notte’, in which the singer muses that the sun always sets on even the most brilliant of days), the command of long lines which Bartoli’s developed in the course of projects like Norma really comes into its own, as does the additional muscle and bite which she’s acquired in the lower-middle register over the last decade or so. The playing of Ensemble Matheus is a smidgen more refined than that of Il Giardino Armonico on the first volume, the horns slightly less unbridled and rasping and the string sound not quite so rough and ready; directing from the violin, Jean-Christophe Spinosi contributes stylish solos in ‘Quell’augellin’, and there’s an equally outstanding cameo from an unidentified flautist in ‘Sovente il solo’. 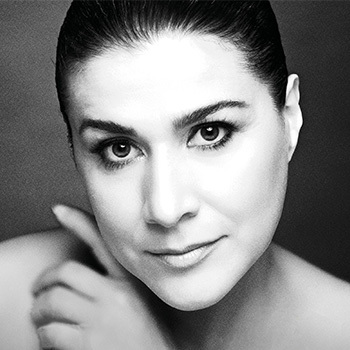 (My one caveat about the album is that the booklet is mainly devoted to glowing testimonials to Bartoli and her first Vivaldi recording from the likes of Antonio Pappano, Rolando Villazón, Marilyn Horne and Marc Minkowski rather than detailed information on the performers or the music on this new instalment). All in all, then, this is a life-enhancing, exhilarating album which showcases the infinite variety of singer and composer alike and looks set to win new fans for both as well as being a shoo-in for lovers of that stunning 1999 disc – viva Bartoli, and viva Vivaldi! Until 31st December, we're offering up discounts of up to 50% on Bartoli's back catalogue, including the original Vivaldi Album: you can browse the complete list of titles here.